??? Begin your healthy life today ??? 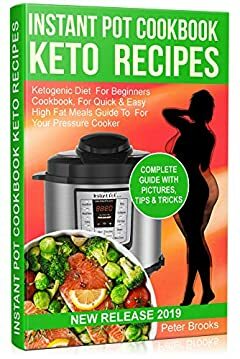 Want to eat healthy and tasty KETO dishes? Do you want to improve your diet in fast and efficient way? ????? This book is for you! ????? You will get 10 amazing breakfast recipes followed by stews/soups, meat, veggies, desserts, etc. Everything you need to create your meal plan without compromising ketosis. Don’t forget to buy the book! Start your keto journey the right way! With Instant Pot Recipes.